I asked my husband to buy me some bananas as I felt like making a healthy banana bread, and he went ahead and freestyled this baby while I was having an indulgent Saturday afternoon nap! And as much as it pains me to admit it, he absolutely NAILED IT! 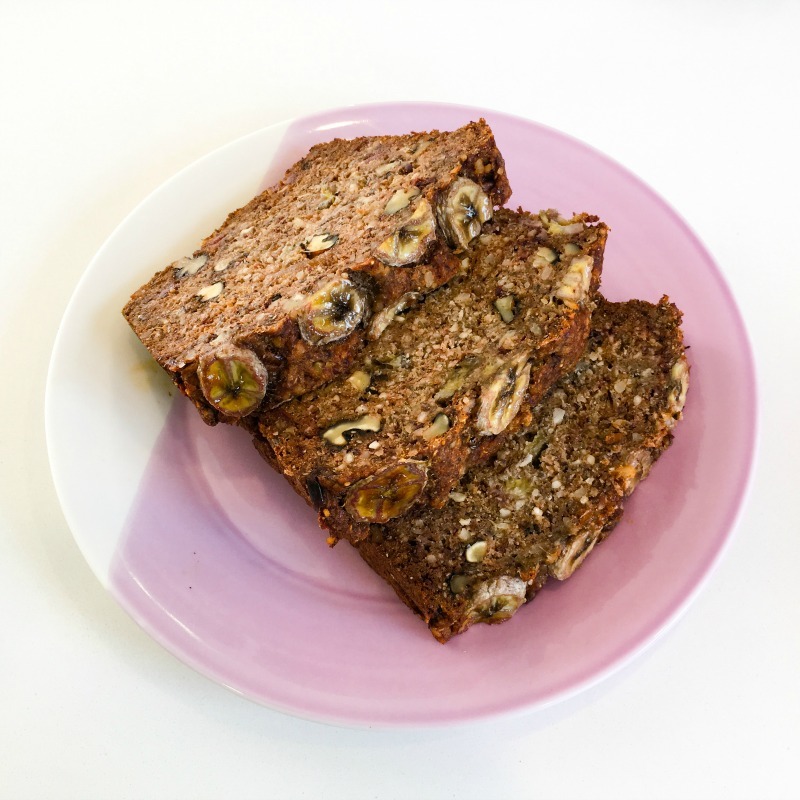 This banana bread is moist, sweet-but-not-too-sweet, chock full of healthy, nutrient-dense, fibre-rich ingredients and extremely difficult to limit to one slice. This one is a must-try! Combine all dry ingredients in a bowl and mix well. Add wet ingredients (except the one banana for garnish) and mix well. Spoon mixture into a loaf tin lined with baking paper. Slice your remaining banana and place slices on top of banana bread batter. Place in a pre-heated oven (160 degrees celsius) and bake for 1 hour and 25 minutes (give or take, depending on your oven). Keep an eye on it from one hour onwards. Your banana cake is cooked when you put a knife into the centre of the cake and it comes out clean. 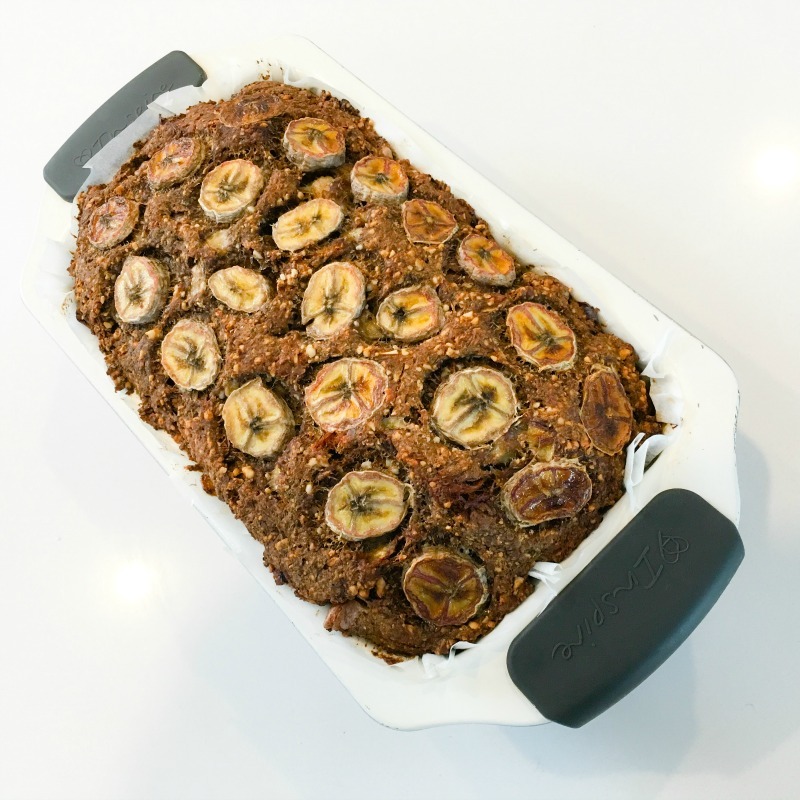 This banana bread is divine warm or cold.